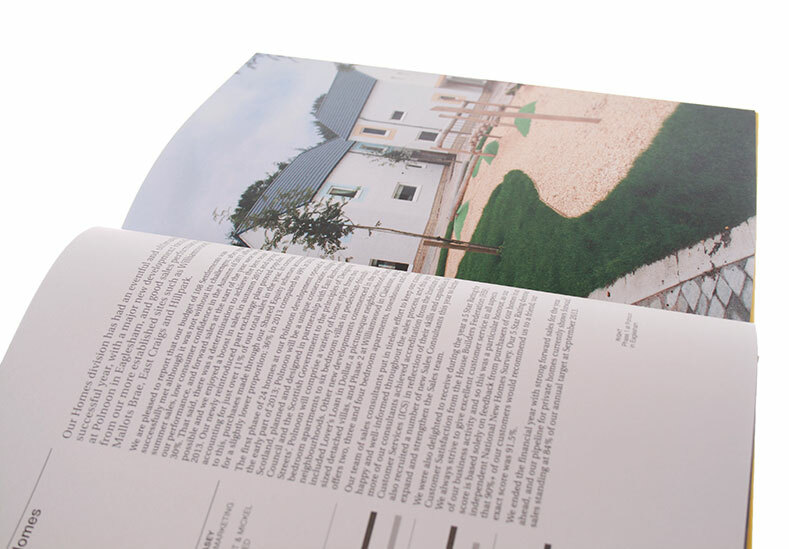 Mactaggart & Mickel is a family-owned group of companies renowned for high quality homes and service, delivering homes and developments across Scotland. 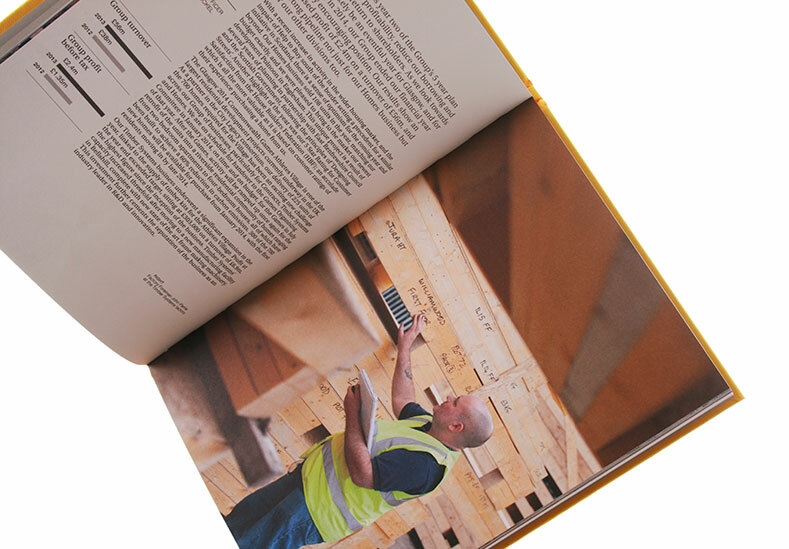 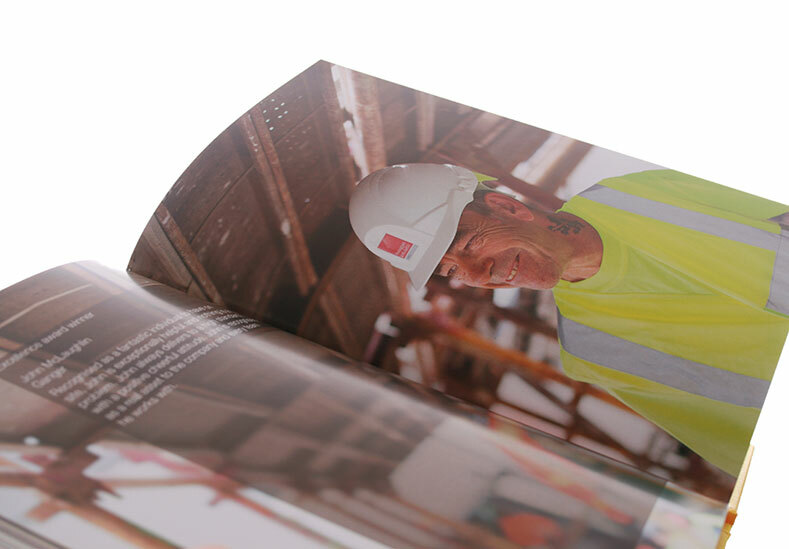 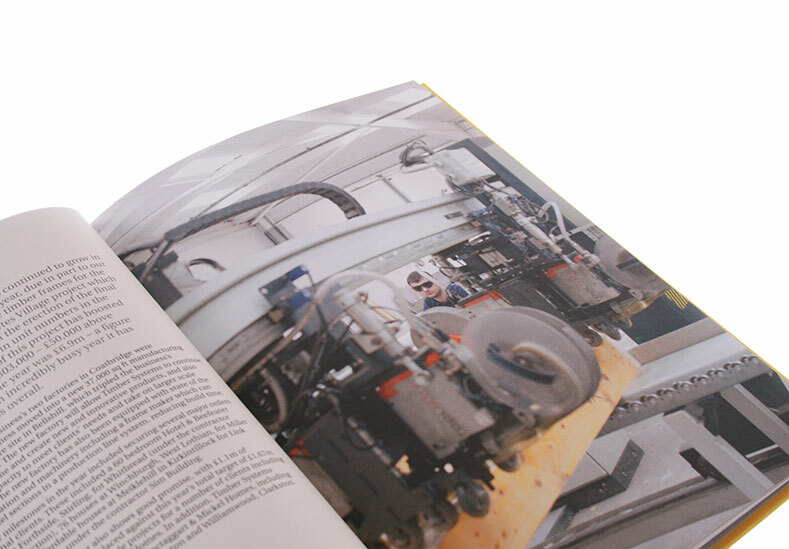 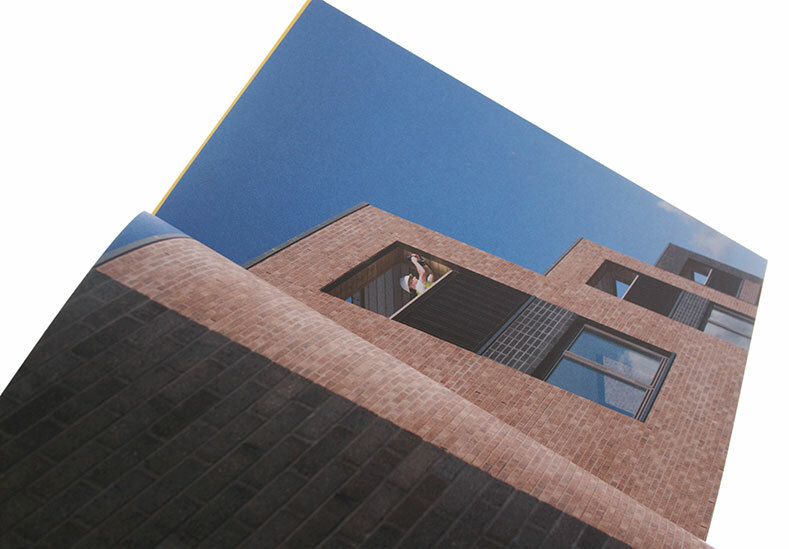 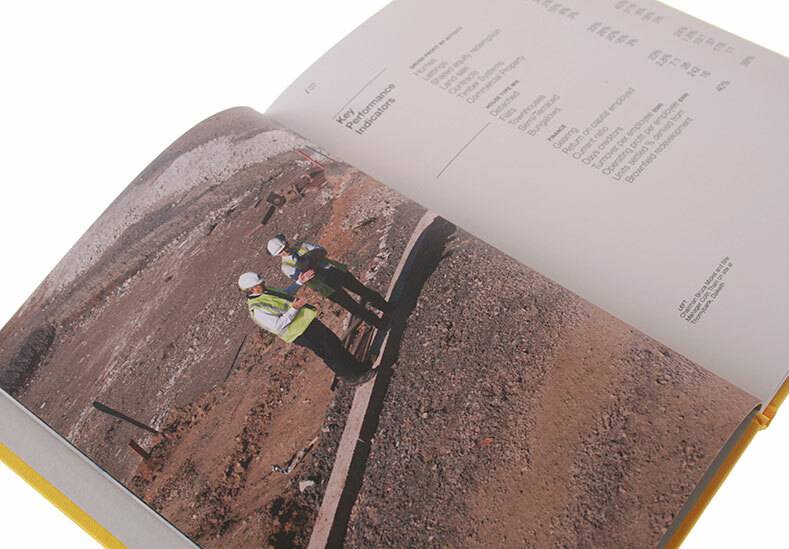 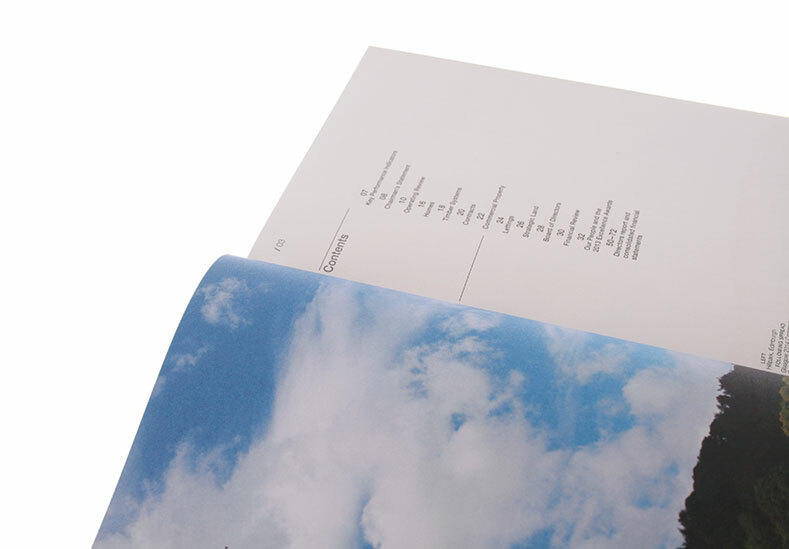 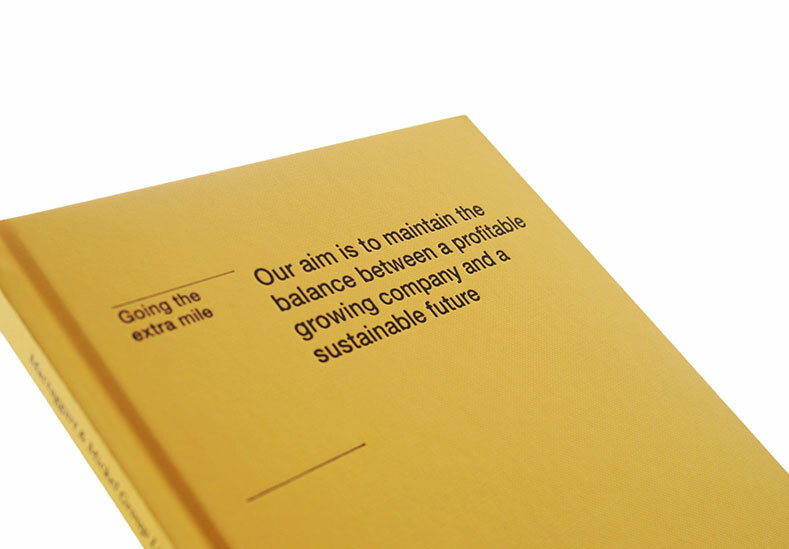 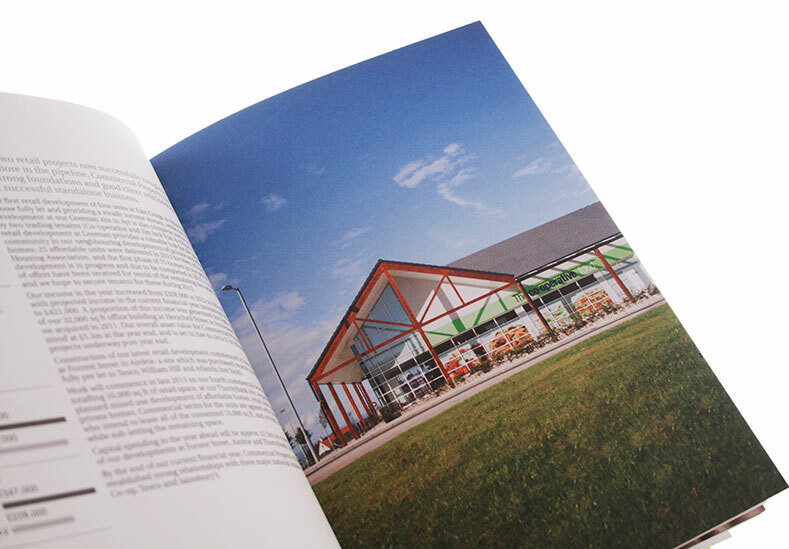 We have designed an annual report for them each year since 2007. 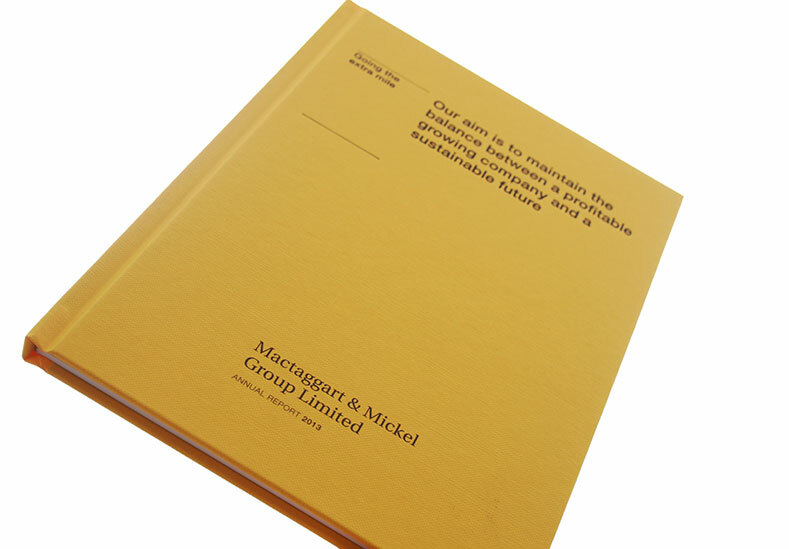 In recent years Mactaggart & Mickel has implemented a diversification strategy, branching out from the core business of housebuilding, and providing new income streams which have made a significant positive impact on business performance. 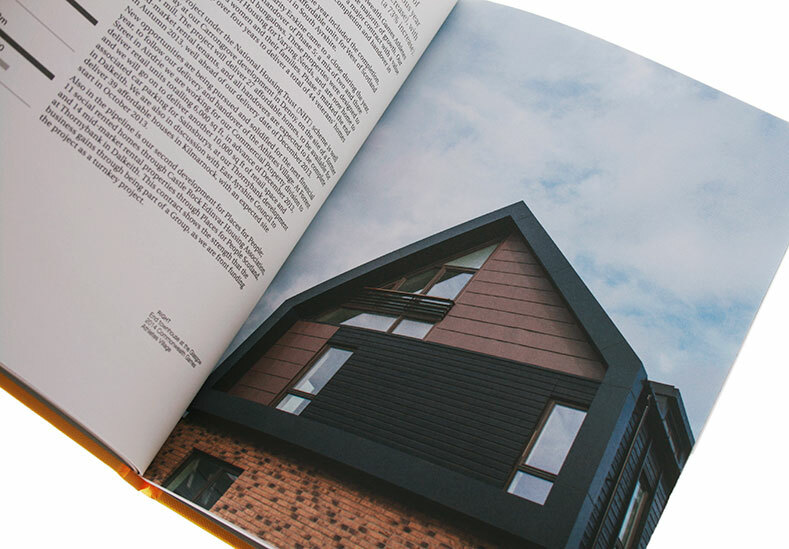 With this change of emphasis the Group has met the new challenges and opportunities that diversification has brought, whilst also easing reliance on home building during uncertain times for the market. 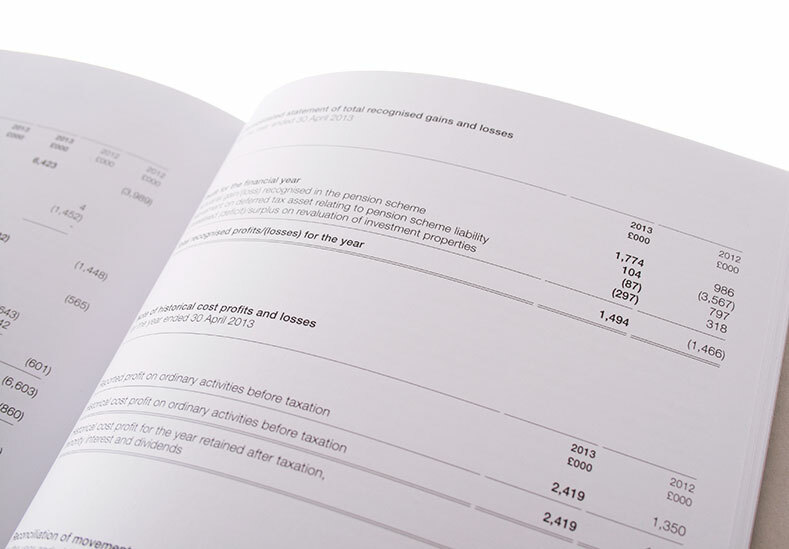 The case bound document was created to reflect the gravitas of the financial and statutory information within. 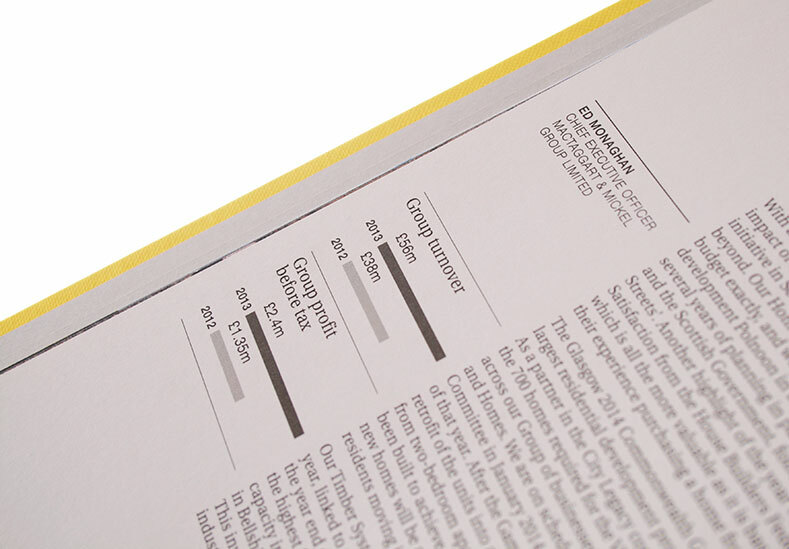 The report itself is used as a marketing document and is the principle defining document each year. 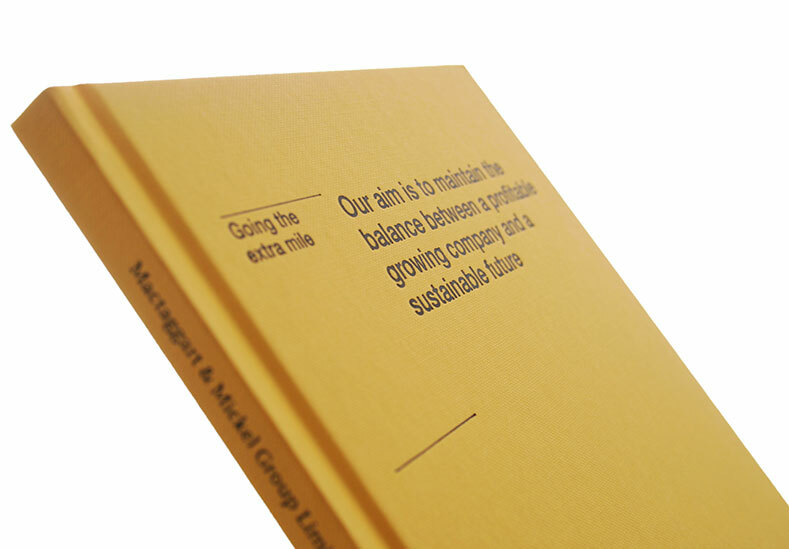 The gravitas and quality level of the document helped to create a memorable and keepable document.